Salesforce packs a punch with all its features and functionality, but that’s just where the fun starts. There are literally thousands of apps to extend Salesforce’s value. They address almost any business challenge, and costs range from free to, well, much more. How do you find your way through this jungle of apps and land on the ones that can help your enterprise the most? You might start by checking out those that are winning the popularity contest. And the winners are…drum roll please…. The name says it all—if you have a mass of data to load, you need to look into this one. 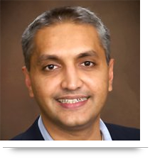 Tired of duplicate data? Prevent it from ever entering your world with DupeBlocker, a real-time de-duplicator. There’s no need for pen and paper anymore when you can use EchoSign to create signatures on documents electronically. It also keeps track of documents so there’s no more need to be excavating papers in overloaded inboxes. What’s more, signatures are legally enforceable. Marketo takes marketing automation to the highest levels and bills itself as the “marketing automation package you’ll never outgrow.” Judging by its popularity, many business people agree. Are your associates frittering away perfectly good hours cutting and pasting documents to create customized reports and proposals? If so, the Conga Guys have the solution-- software that dynamically creates and customizes documents. There’s much more…check it out. 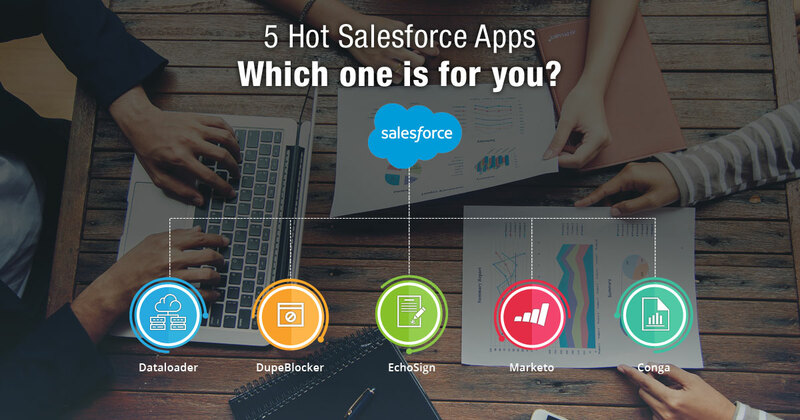 Which Salesforce App is for You? Of course, just because these apps are parading in the winners’ circle, it doesn’t mean they’re right for you. Only you can determine that because every enterprise has different needs. Just as you would download apps to your Smartphone to make your life easier, you do the same with Salesforce. For example, if you rely heavily on outbound sales calls then an auto-dialer app could substantially drive up productivity. Or, if you’re working for a non-profit, then the Nonprofit Starter Pack from Salesforce can help you manage donations. While your enterprises’ associates are going to have a good handle on their needs, it’s best to get a second opinion from a certified Salesforce professional who understands the full power of Salesforce apps. They will help you analyze your business’ problems and opportunities, and then find the app that holds the greatest value for you. And if a third-party “out of the box” application doesn’t to solve your problem, then you can hire a developer to tailor a solution to your needs. Call us at 484-892-5713 or Contact Us today if you need help with expanding into the world of Salesforce apps. The service is free for now.